Who says we can’t have ice cream treats in the winter? Of course we can! In a restaurant I can succumb to my milkshake craving and order an extra thick malted. I can even defy a drafty December and whip out my blender at home. However, I don’t think I would serve an icy treat to company in the winter. I want to offer them something warm and welcoming. But don’t worry. 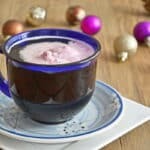 I think I’ve found a way to get my ice cream fix even when I have friends over: I serve them this hot holiday drink recipe! 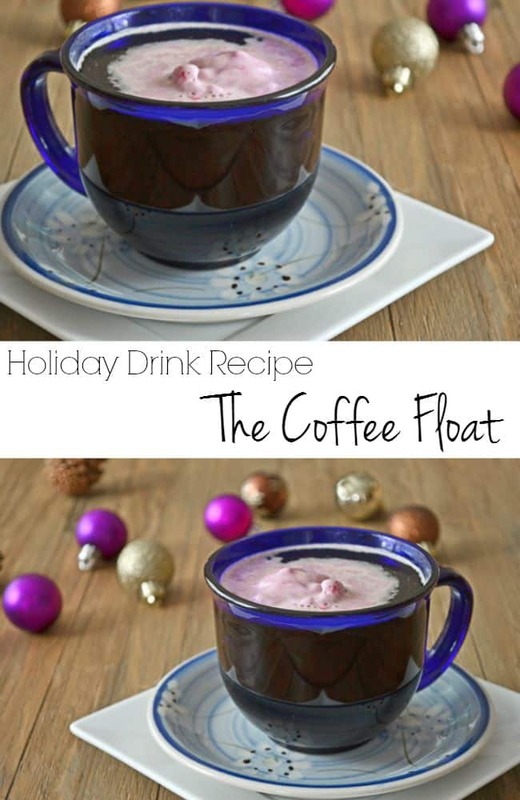 It’s my newest favorite hot holiday drink recipe: The Coffee Float. So easy. So good. Put coffee in a mug. Sprinkle in some sugar (and maybe drip in some liqueur or brandy) and then clank your spoon around to stir everything up. Add a big (big, BIG!) scoop of ice cream. Don’t stir it. Don’t touch it. 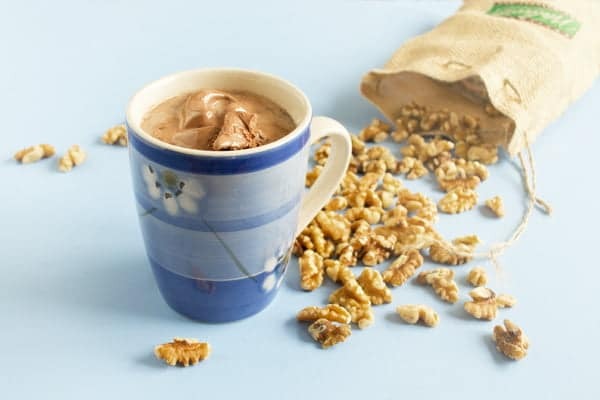 Just sip as it sits on top of your coffee melting in to add a tiny bit of cool cream to your warm winter drink. 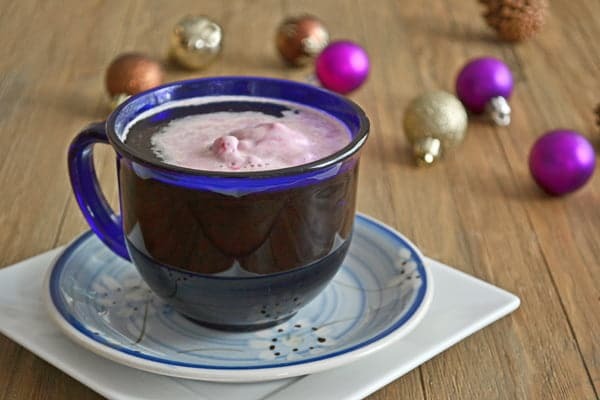 The drink in the picture above is made up of Chambord (a raspberry liqueur), coffee, 1 teaspoon of sugar and a big scoop of raspberry chocolate ice cream. I’ve played with a bunch of different flavor combinations. My favorite is simple: A cup of coffee with sugar and chocolate ice cream. 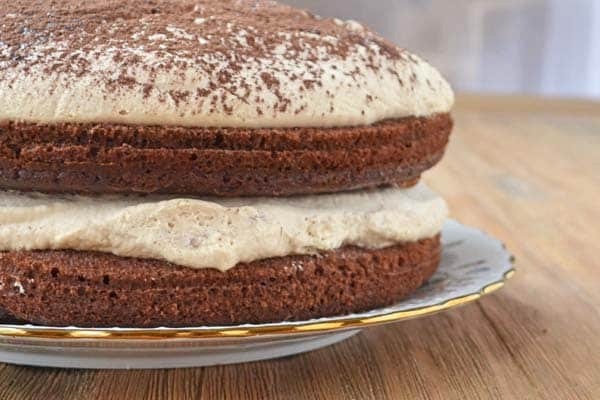 Oh, and I bet a dribble of kahlua or homemade Irish cream in there would be nice too. Which flavor ice cream will you put in your coffee float? 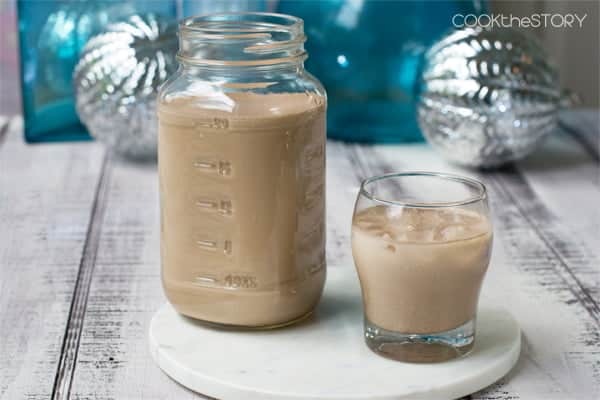 Combine coffee, sugar, and liqueur, add a scoop of ice cream and enjoy this hot holiday drink recipe! Pour the coffee into a mug, leaving about 1 inch of space at the top. 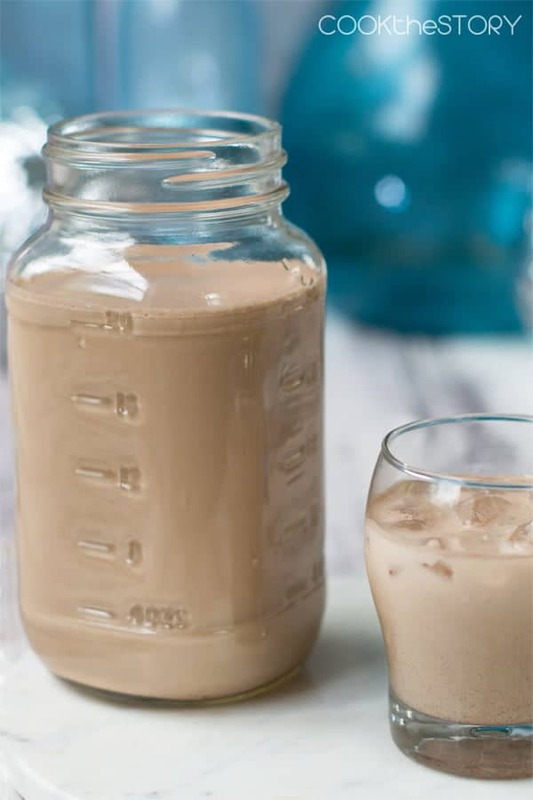 Add a splash of booze if you'd like (brandy or a liqueur like kahlua or Irish cream works well). Add some sugar. I usually put about a teaspoon but this really depends on how sweet you like your coffee. 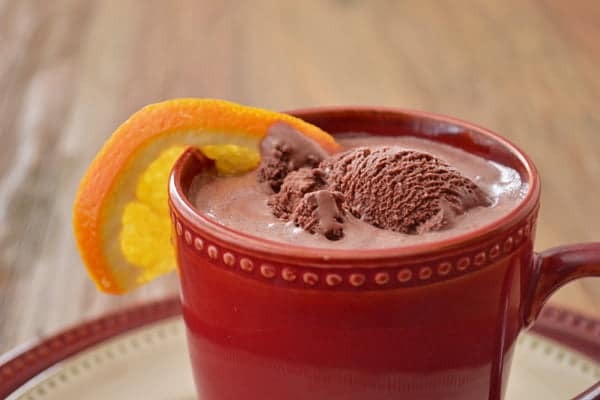 The ice cream will sweeten it a little bit so you want to add about half as much sugar as you'd normally put in coffee. Scoop a nice big ball of ice cream (about 1/3 cup). Gently drop it onto the top of the coffee. It will float there and melt slowly. Don't stir it. Just let it sit there turning into sweet cream as you drink. Sounds like a nice treat. I remember putting fresh whipped cream on top of my coffee when I was younger. It was always such a treat!